In a bit of a surprising move, the Broncos have swapped tight ends. According to Mike Klis of 9News in Denver (via Twitter), the team has waived/injured A.J. Derby and promoted Austin Traylor from the practice squad. Derby had been struggling with a shoulder injury and wasn’t expected to play this weekend. 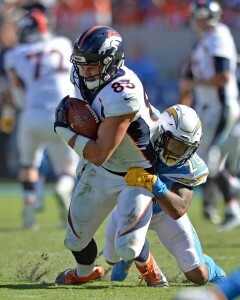 Derby, a 2015 sixth-round pick, was traded from the Patriots to the Broncos last season in exchange for a fifth-round pick. After a lackluster start to his tenure in Denver, the 26-year-old was beginning to come into his own in 2017. In nine games (one start), he had hauled in 19 receptions for 224 yards and two touchdowns, tops among Broncos tight ends. Traylor has yet to play in an NFL game, although the 24-year-old is listed at 6-foot-3 and 255 pounds. Klis tweets that while Derby is the superior receiver, Traylor “is more physical.” Ultimately, the reporter believes this move is another attempt by general manager John Elway to send a “strong message” to his team. For the time being, Traylor will slot in behind Virgil Green and Jeff Heuerman on the depth chart, and he should also get some reps on special teams. 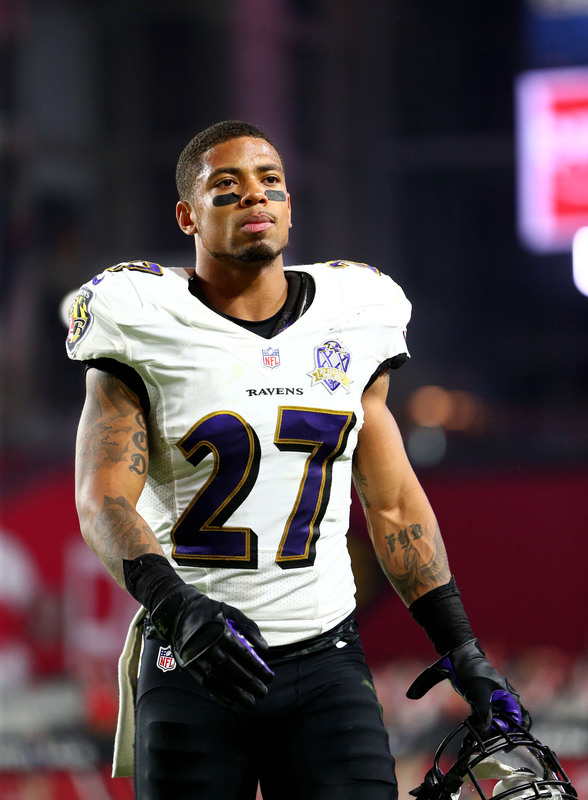 The Ravens announced that they have promoted cornerback Asa Jackson to the 53-man roster. His spot was cleared when Baltimore placed rookie defensive tackle Willie Henry on injured reserve. The Ravens also signed guard Jarrod Pughsley and tight end Austin Traylor to the practice squad while releasing quarterback David Fales. Jackson will help provide depth which Shareece Wright deals with a thigh injury. He may also be utilized on special teams where Devin Hester has coughed up the ball multiple times this year as a return. Jackson missed the 75-man cut in Arizona this summer, but he hopes to stick on the Ravens’ 53-man roster after being jostled around this year. Henry, a fourth-round pick, is the third Ravens draft pick to be placed on IR this year. He was active for only one game this year. The good news is that for all the injuries in Baltimore, the team did not announce that tackle Alex Lewis or guard Marshal Yanda are going to IR. Lewis suffered a high ankle sprain recently and was given a six week prognosis. Yanda, meanwhile, is dealing with a shoulder injury and an uncertain timetable for return.